The Publisher reserves the right to accept or reject any advertisement or part thereof, and to insert the word advertisement or its abbreviation to clearly identify any advertisement. Paid positioning may be reviewed by the Publisher at any time. If a contracted paid position becomes unavailable for any reason, the Advertiser will be offered an alternative position at the same price. If the alternative position is not accepted, the contract may be cancelled without penalty to either the Advertiser or Publisher. Advertisers and Advertising Agencies assume liability for all contents including text and/or illustrations and for any claim made against Vancouver Free Press Publishing Corporation, the Georgia Straight, or its agents. The advertiser agrees to indemnify the Publisher for any costs or damage incurred as a result of publishing any advertisement that subjects the Publisher to liability. The Publisher does not accept liability for any error or inaccuracy in repeat advertisements if not reported in writing prior to 1 pm the Monday before publication date. Ads that are cancelled after 5 p.m. the Monday before publication will be invoiced for space booked and any applicable production charges. The liability of the Publisher for damage arising out of errors in advertisements is limited to the amount paid for the space occupied by the portion of the advertisement where the error occurred. The liability is limited whether such an error is due to the negligence of Georgia Straight employees or otherwise. 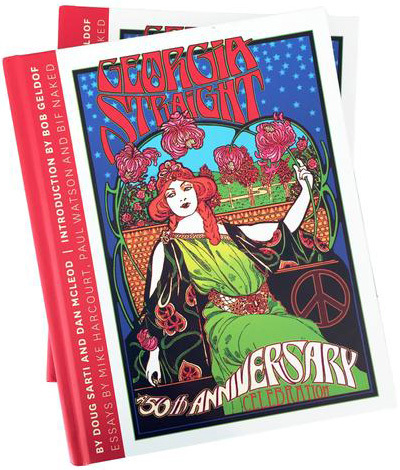 The Publisher does not accept liability for any error or inaccuracy caused by the printers or printing of the Georgia Straight, beyond the amount actually paid for the advertisement. The liability of the Publisher for damage arising out of non-insertion of any advertisement is limited to the amount paid for the space occupied by the advertisement, whether it is due to the negligence of the Publisher’s employees or otherwise. The Publisher is not responsible for restitution for any errors in advertisements if not reported in writing within 30 days of the date shown on the invoice for the advertisement in which the error may have occurred. Advertisers who terminate a contract before completion will be subject to retroactive billing at the insertion rate corresponding to the actual number of ads run. Ads for which material is received after deadline will be invoiced a late production charge. Ads booked, produced, and subsequently cancelled, as well as any and all revisions to ads or proofs made after deadline, will be invoiced at full graphics rates.